Local interest in the geothermal operations on Nevis continued to grow and according to a top official of West Indies Power Nevis Ltd. the trend was evident in the number of persons who continued to visit the Spring Hill Nevis 1 site and the Upper Jessups Nevis 2 site. 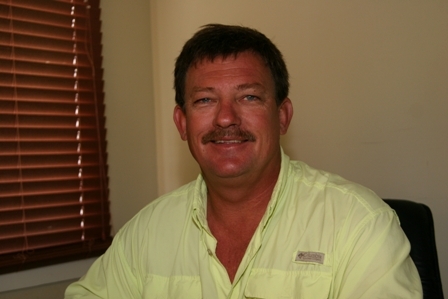 Chief Operations Officer (COO), Head of Drilling Operations of West Indies Power Mr. Bobby Tinsley, made the observation when he spoke with the Department of Information at his Nelson Spring office on August 07, 2008. “We have seen a lot of people up there [Nevis 2]. Our security guard handles most of the in betweens stuff and the people who want to come see the location. So stop and see the security guard if you are coming up. They will bring you up and show you around the location. tremendous amount of people up there asking a lot of questions. What we are doing? When we think it will be online? Where is the plant going? What is the pad for? Why did we dig the pond? Typical questions from the public that have a lot of interest. Their reactions have been very good they are all smiles and are waiting to see the productivity come along,” he said. The COO also took the opportunity to give an update of the drilling operations and said that drilling at the new site was well ahead. So far they had drilled a depth of about 1600 feet and had planned to send casing down at about 2000 feet which should be the top of the reservoir. They would then carry the hold down and would determine the bottom completion depth based on the information received from the well for the reservoir. “We have seen an increase now in the temperature of the formation right now the same relationship that we saw in Nevis 1 which is about 10-15 degrees Fahrenheit per 100 feet it actually came in a little lower than Nevis 1 because we think the elevation difference between Nevis 1 and Nevis 2…Things are going very good&things are going very well and we expect to be done somewhere in the next two to three weeks, the end of August. “We are actually a little ahead of the last one based on the fact that we are doing a different drilling programme. We did have a few problems in this well we had some steel we had to drill out that slowed us down but actually the production right now is going very, very well,” he said. In February 2007, the Nevis Island Administration (NIA) had issued a license to West Indies Power Nevis Limited to carry out an 18-month geothermal exploration project, in its quest to reduce the cost of living and to provide cheaper and cleaner energy for Nevisians. 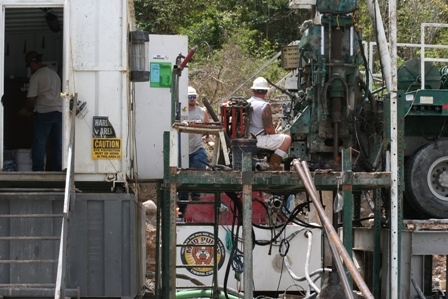 The first commercially sound reservoir jetted steam from a depth of 3720 feet at the Spring Hill Nevis 1 site on June 02, 2008.